Heron House is respectfully a vegan friendly, undenominational church and cultural center. Our Sunday service, Circle of Sacred Earth is held at 11A.M.. The Circle is facilitated by vegan minister and spiritual Director, Julie West. In addition to Sunday service, we also host a variety of vegan happenings such as, cinema, study groups, events and vegetarian/vegan potlucks. 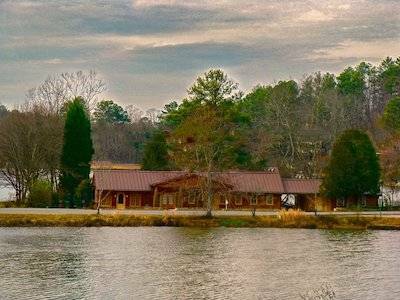 Heron House has a beautiful, private solo retreat room called Lakeside Oasis, designed for prayer, meditation and writing that offers option of vegan meals. JulieWest : As an all empath for all beings, Julie innately knew at a very young age eating meat was violent. It was much later that she made the connection to dairy and chose to become vegan. While our Sunday services are not vegan directed, Julie cannot talk about separation of humans without including all species in her talks. Jann Jennelle: Vegan, Heron House resident yoga, pilates instructor and therapist.